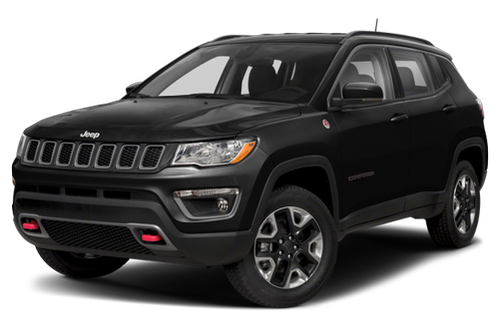 Have You Driven the 2019 Jeep Compass? Best bang for the buck. I like the total package with numerous little things that mean a lot. For example, the change lane and other safety features. Only negative is I think Jeep should consider better front cabin storage. Compact but roomy. This feels like a full size Jeep but at a much lower price. The handling is perfect around town. Exactly what I wanted. This car met all of our needs. It has great leg room as well as plenty of space in trunk. An overall great car for a great price! I was looking for a used vehicle and very much wanted another Jeep. So I tried a used Patriot, was too tight. My husbands Cherokee is too big, so the Compass made sense. We leased exactly what I wanted, light colors, leather and I couldn't be happier! The Jeep is beautiful, & gets great gas mileage, but it has major electric problems. It doesn’t crank a lot of the time. I just have to sit there from 5-15 minutes pressing the button trying to get it to turn on. The screen messes up a lot. Also, it’s not an AWD, but it literally got stuck sitting in my yard. I am so disappointed & unhappy. I have an appointment scheduled with the dealership to get it looked at, but I really just want to give it back. I’m not happy. Does not recommend this car!! 24 out of 26 people found this review helpful. Did you?